Today marks the 159th anniversary of the publication of Charles Darwin’s On the Origin of Species. Unlike most other revolutionary science texts, Origin was written with a general audience in mind. 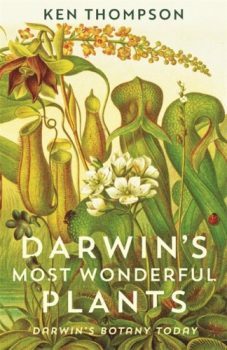 It’s still remarkably accessible, and a rewarding read, even though Darwin’s prose can grow a little tortuous in places. We now know Darwin was wrong on a few details, but his key argument still stands, and forms the bedrock of modern biology. If you haven’t read Origin yet, perhaps you should give it a go. It is of considerable delight to me that Darwin was taking the waters on Ilkley Moor in Yorkshire, just thirteen miles as the lapwing flies from where I write these words, on the day Origin first appeared in print. 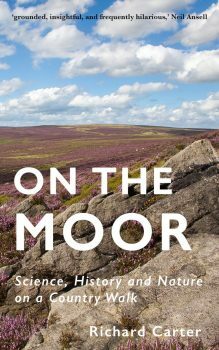 I explain how Darwin ended up in Ilkley in my book On the Moor: science, history and nature on a country walk, whose first anniversary (non-coincidentally) also falls today. If you haven’t read On the Moor yet, perhaps you should give it a go too! Origin of the species: where did Darwin’s finches come from? How the iconic finches that radiated throughout the Galápagos Islands might, surprisingly, have had their origin in the Caribbean. Our planet grows ever more human-centric. In particular, our cities provide challenging new environments into which species are adapting. Why don’t birds have teeth? It used to be thought birds became toothless to reduce weight during flight. But perhaps it was a side-effect of evolving shorter incubation periods. How cetacean (whale, dolphin and porpoise) faces have evolved, and how they change shape as their fetuses develop, allowing nostrils to become blowholes. I love this sort of thing. It seems certain silk moths have evolved elaborate hind-wings with spinning tails that confuse bats’ echolocation systems. A brilliant countermeasure in an evolutionary arms race. For regular links like these, please like and follow the Friends of Charles Darwin Facebook page. 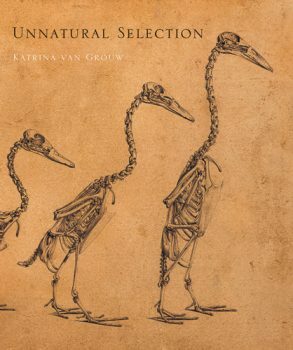 Art meets science in this stunningly illustrated book, published to mark the 150th anniversary of Charles Darwin’s long, lesser-known work ‘The Variation of Animals and Plants under Domestication’. Evolution and the making of us. 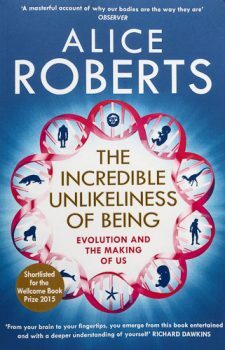 A fantastic book exploring how our bodies are compromises, constrained by physics, and by our developmental and evolutionary history. A short, entertaining investigation of each of Darwin’s major works on plants. By the end of it, you’ll have a far better appreciation of Darwin the botanist. It’s still early days working on my Darwin book, but I’ve been enjoying dipping into a number of my hero’s lesser-known works, reading up on pigeons, dogs, and foxgloves. Although Darwin described On the Origin of Species as ‘one long argument’, he continued to flesh out his argument in all his subsequent books. As a healthy individual struggling to get going on only his second book, despite having access to a medium-sized arsenal of modern technology, I’m frankly in awe of Charles Darwin: a man beset by chronic illness, who managed to produce a magnificent body of work writing with a dip pen, and relying on a social network powered by postage stamps. During my recent research, while I was finally getting to the bottom of a highly dubious anecdote about Darwin that turned out to be true, I ended up transcribing a previously unpublished ‘autobiographical fragment’ by his daughter Henrietta. The transcription is now available on the magnificent ‘Darwin Online’ website. My first small contribution to original history of science research. Thanks for taking time to read this newsletter. Please feel free to forward it to any friends you think might like to subscribe. And if you’re at a loss as to what to buy those friends for Christmas, you’ll find another shameless plug for my soon-to-be-seen-as-a-classic book below.